Super excited about my first interview on French radio, in French no less! Although I was nervous about speaking on air in French for the first time, host Eric Thomas was so welcoming, I felt right at home. Jerome Buigues and I drove to Aix-en-Provence for the interview, and Eric showed us around the studios, we learned more about his show L’Aïolive l’émission and Eric introduced us to many wonderful people at France Bleu Provence. We spoke about how Velours the album came to be, how the title was inspired years ago in Paris, how Pierre Sibille and I met through Ashford & Simpson which led to concerts and recording in France, about the many wonderful musicians and singers from Provence, Paris and New York City, and our upcoming show at Espace Musical Hyperion in Marseille on December 1st. Eric played four songs in full from the album, as well as excerpts from three more songs! I brought Eric a T-shirt from NYC and he surprised me with some delicious cookies, a speciality of Marseille called “Four des Navettes”, flavoured with the scent of orange water. Perfect with coffee or tea! Un grand plaisir! It was truly a wonderful afternoon. Thank you Eric and everyone at France Bleu Provence. à la prochaine! Velours, the new album by Valerie Ghent, a beautiful success between New York and Provence! by Eric Thomas, France Bleu Provence. 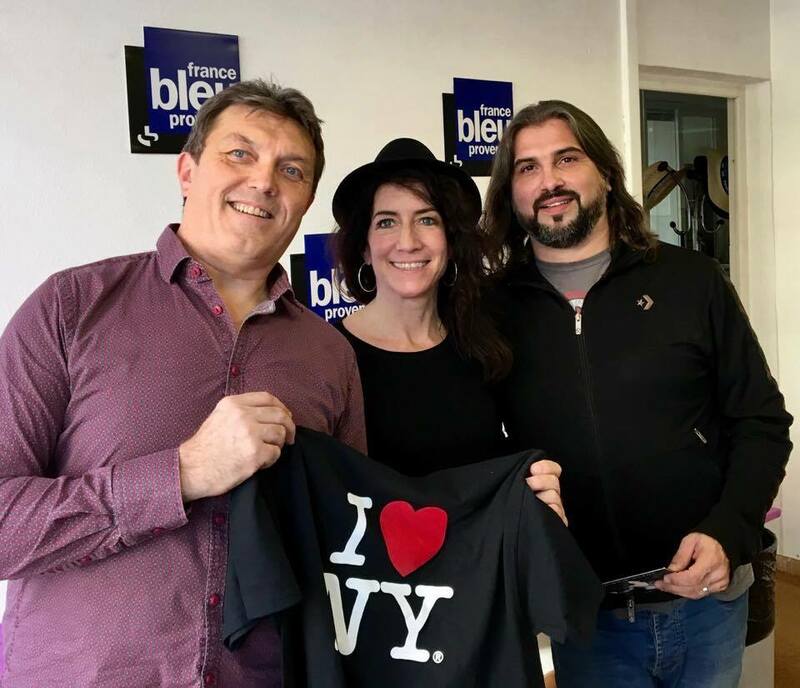 Velours, le nouvel album de Valérie Ghent, une belle réussite entre New York et la Provence !!! par Eric Thomas, France Bleu Provence.